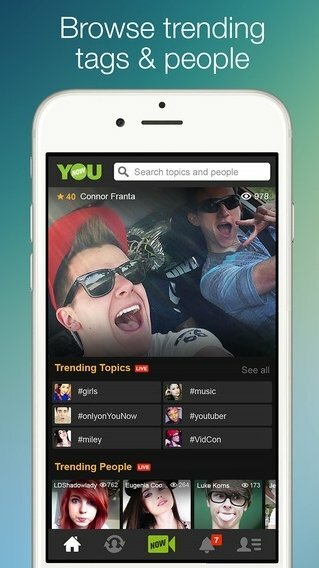 For anyone who loves being the focus of attention and envies TV stars, there's an application called YouNow by means of which you can broadcast live anything going on. 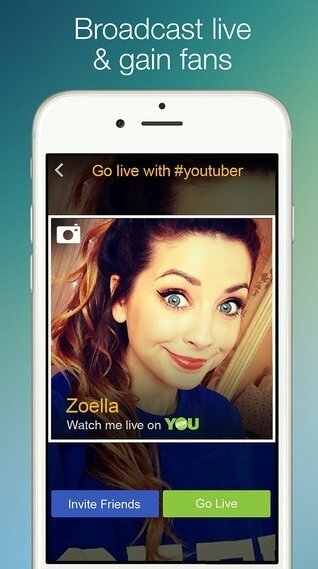 On the contrary, if you prefer to watch what other people do just like on Big Brother, you'll also like this app. Broadcast, chat and watch video live. 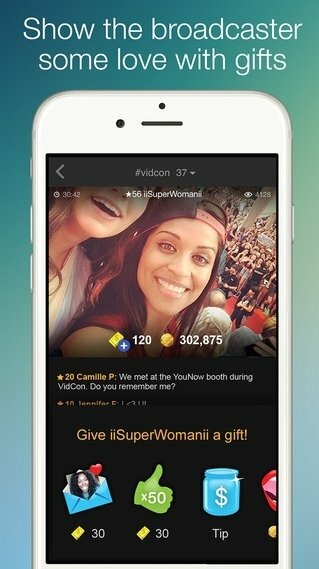 Having your own channel where you can talk about all your daily adventures is as easy as pressing the "Now" button on this application that does live broadcasts, while it allows you to stay in touch with your followers. 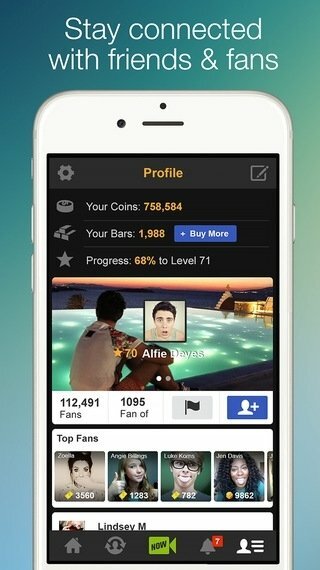 You can also follow the channels of your favorite users and receive notifications whenever they broadcast. Requires iOS 7.0 or above. This app has been optimized for iPhone 5, iPhone 6 and iPhone 6 Plus.